I have been wondering how to start this post for a while now. It came to me quite clearly a few days ago to just simply share the story I have been telling so many in the journey to build this smoker. Because how else do you let the world know of a company with customer service so outstanding that you want everyone to own their products? Of a company that stepped up way way above and beyond. A company I had the pleasure of working with last spring when they rolled out their Life Is Better Bbqed campaign. Of course I am talking about Char-Broil. 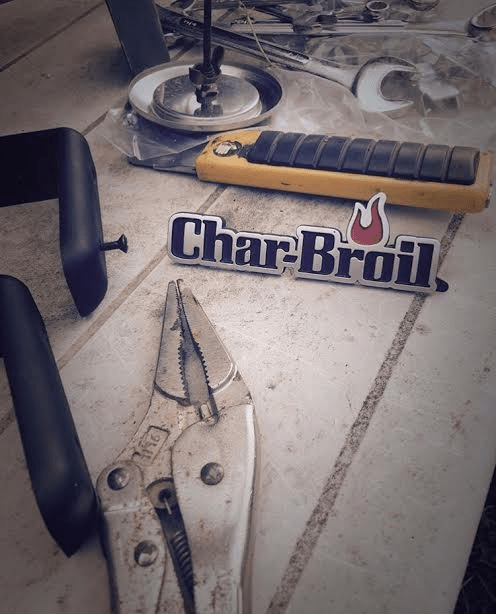 In the spring of 2015 I did a 3 post project for Char-Broil. They had a Spring campaign going on with Lowes and I was honored to be a part of it. As you know we love BBQ on Nutmeg Disrupted and to work with such an amazing team was a dream come true. 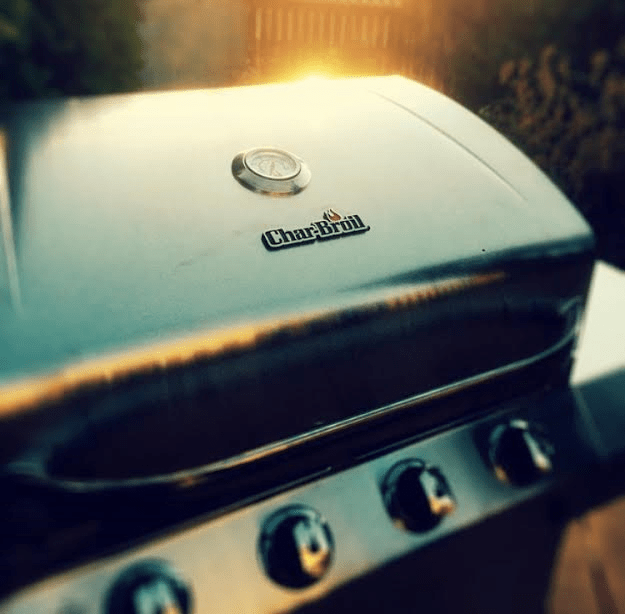 I received a gorgeous Char-Broil BBQ from Lowes to review and grill with for the campaign. The BBQ was mine to keep. My phone buzzed, it was a text from my son. A huge storm was rolling into town and a tree was down in the backyard. As I was standing there I was struck with a bit of panic. Tree down. Which tree. 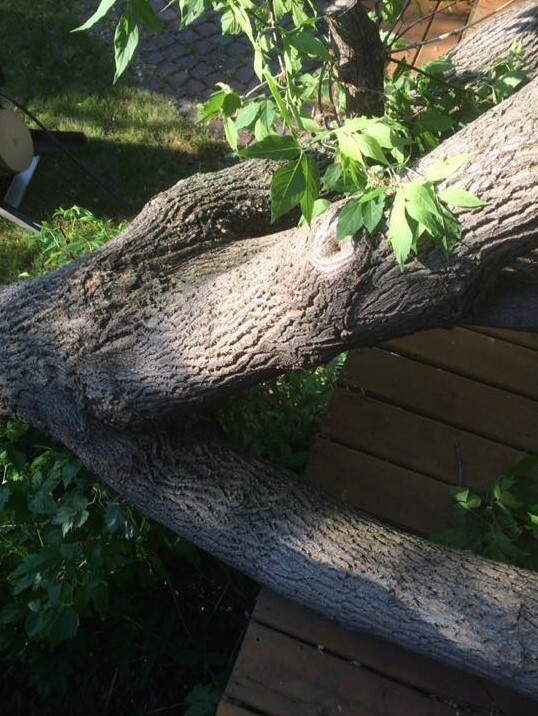 No way it could be the 1000+ pound tree beside the deck. Then he sent a photo from the inside of the house through the patio door. All you could see was leaves. Indeed it was said tree. I paid for my coffee then quickly made the 70 minute trip home. That was what I found when I arrived home. I was devastated. Yes that is a bold statement to make about a BBQ, but in that moment I was completely devastated. It took a couple of days to get the tree bucked up and retrieve the crushed grill. Almost every inch of it was damaged. The evening the tree fell I had Tweeted about the storm and the sad fate of my BBQ. I was thankful no one was hurt, had anyone been grilling out back I can’t even imagine how that would have ended. 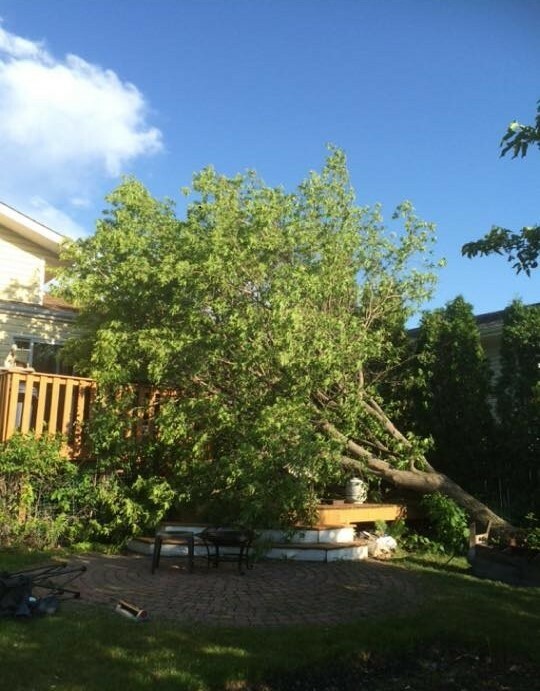 The smoker that was on the deck took a hit and was damaged but the full weight of the tree was on the BBQ. What happened next was something so unexpected and wonderful. Within 24 hours of my BBQ misfortune I had been contacted by the marketing company that represented Char-Broil during the Lowes campaign. Char-Broil had heard about what happened and they wanted to make it right and send me a new BBQ to replace the one that was crushed. Talk about a company standing behind their product! Because I had done some work for them they were willing to replace their product, not because they had to, simply because they wanted to. Now that is a brand I want to stand behind and do business with. I may have cried a little when I received that news. 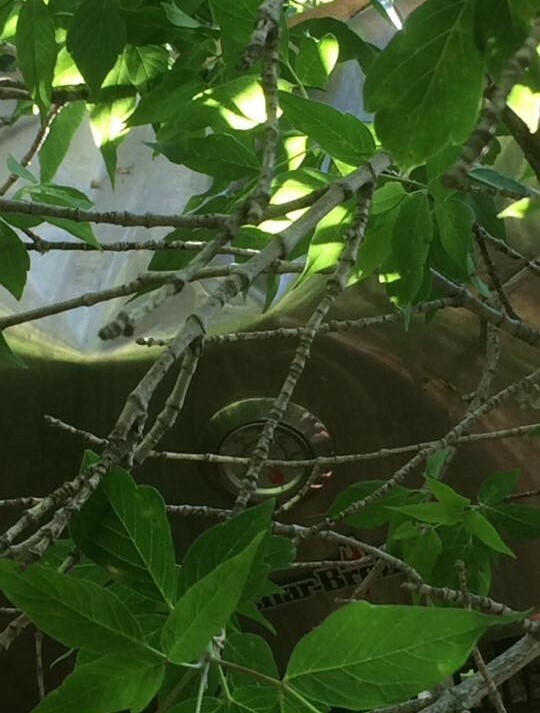 BBQ is a passion and to have not only my smoker but my BBQ also taken out in a brief moment was a huge loss. After the tree was cleared away we took apart the BBQ to salvage any of the good parts. It felt like a such a waste tossing out such a new piece of equipment and the goal now was to repurpose what we could. Immediately it was decided that we would build a smoker. 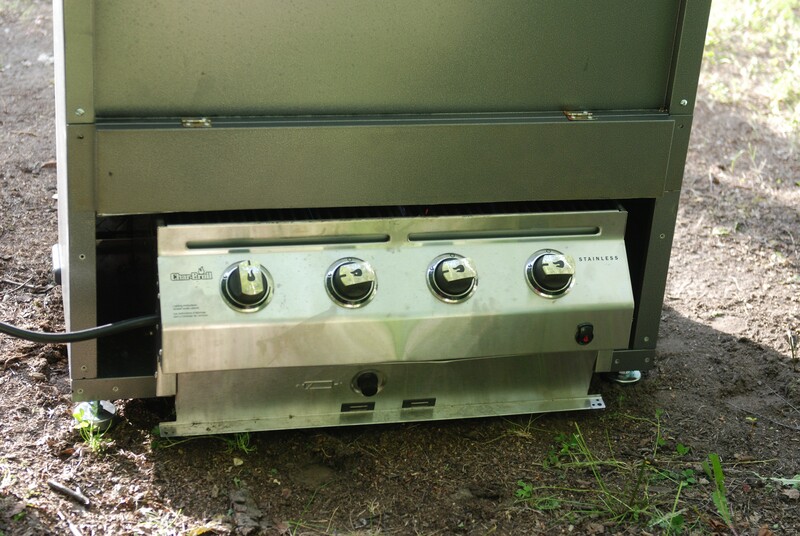 The only pieces not damaged were the handles off the doors, the temperature gage, the logo and the heating element area of the grill, though bent it was still functioning. With the salvaged bits stored away we set off with a plan of building a smoker. 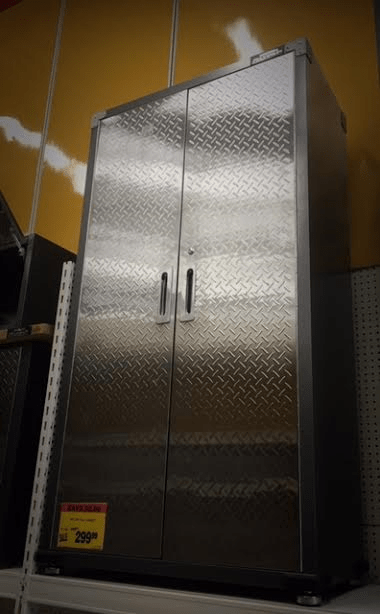 We had an idea of what we wanted for the body of the smoker and scoured the ads for upcoming auction sales. Everything we looked at was just not quite what we had envisioned until one day while in Canadian Tire after a year long search we found the perfect body for our new smoker. 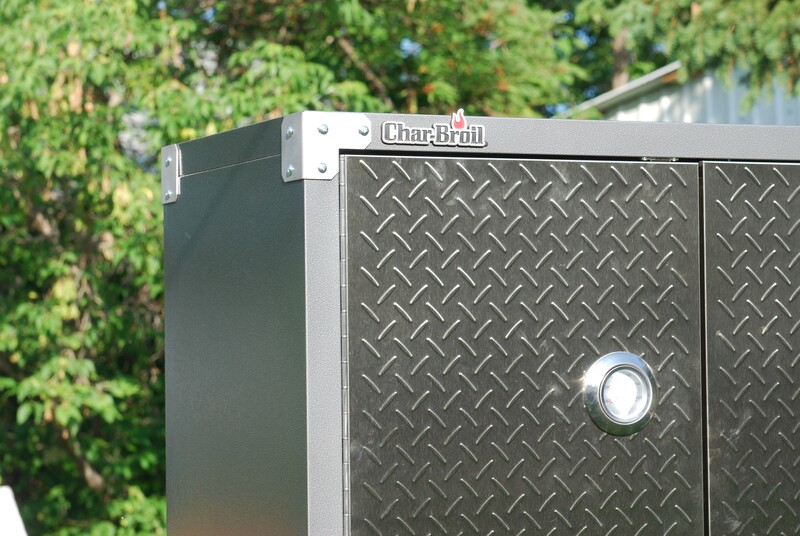 The vision has always been to build a large smoker. Something substantial so that we had the area to do a large cook. Having catered weddings and hosted pig roasts we have had the opportunity to use some very large BBQs and we wanted our smoker to not only be impressive but have the power to do the job. From there everything started to fall into place. In conversation with Brian our butcher we mentioned that we were building a smoker and he gave us a great idea as to what we could use for the racking inside the unit. The heating element was a close fit and with a bit of work the smoker started to coming together. We did a few small trial runs to work out the kinks and cooked for an event mid summer. The smoker has been getting a lot of attention, it is a gorgeous piece of equipment and with every inquiry I share my Char-Broil story. In closing I want to say a heartfelt thank you to Char-Broil. Not only have you made this girls BBQ dreams continue, you make a product that I love and your customer service is unmatched. Thank you! Next Post - Next post: What’s new at McDonald’s & A Giveaway. It was a fantastic project building the smoker. And yes, they did a great job, it was unexpected and my appreciation of what they did is huge! Nice work and impressive customer service from the PR folks! Thanks Alexa. The goal was to find something large enough to house the base of the BBQ. It all came together nicely. There are a few modifications we want to do but we are very happy with how it turned out. Wow Redawna, what an impressive build! I was blown away at how they stepped up at Char-Broil. Extraordinary service! We are pretty pleased with how the smoker turned out. Non of it would have been possible without their kindness. That truly was amazing customer service — so glad this situation has worked out so well. 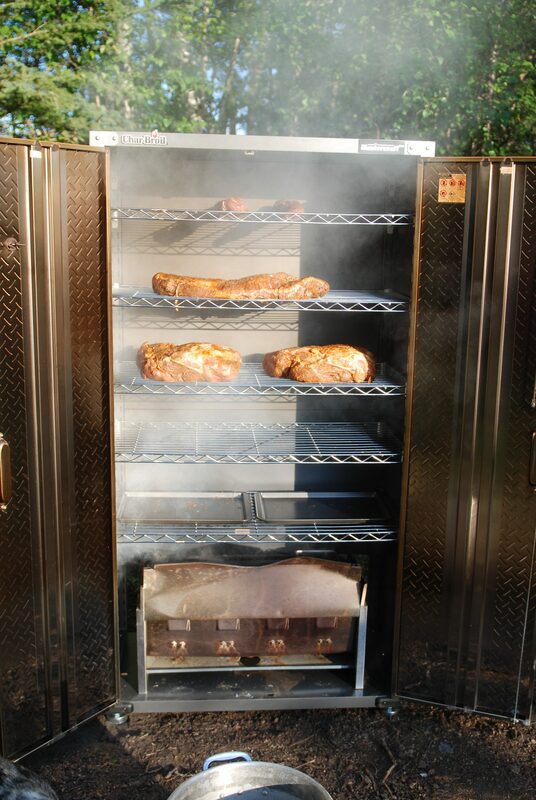 And that smoker looks impressive!